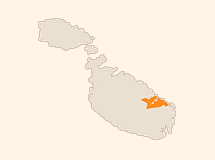 The northern coast of Malta presents a different landscape from the rest of the Island. It is characterised by a succession of low hills and small valleys. In fact, this area offers noteworthy activities including diving and water sports, bird-watching, horse riding and coastal walking. This area is bordered by the Victoria Lines, a series of fortifications built by the British in the 19th century on the peaks, to prevent invasions through the side of the island. However, Malta is not all about ancient sites and historical cities. Many of the country's beaches are situted in this area. Malta has an amazing coastline with its tiny creeks, sand beaches, blue sea and protruding watchtowers. Many make a beeline for Ghadira Bay, Golden Bay, Ghajn Tuffieha Bay, Paradise, Gharmier Bay, Bugibba, Qawra and St. Paul's Bay. 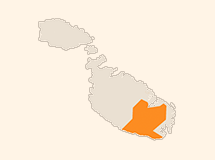 Homes in this area of Malta are not only a good rental investment but also a lifestyle signature. 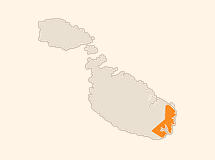 The eastern Coast of Malta hosts the upmarket suburban areas. Development over the past decades has made it difficult to separate one village from the other, however every village centre has maintained its original charm with narrow streets leading to the village centres and numerous churches within the town’s perimeter. The villages in the south of Malta have a timeless character and hug several of Malta's most significant historical sites, including the two impressive Neolithic temples of Hagar Qim and Mnajdra dating back over 5000 years. 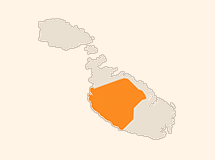 Most of the South of Malta is out of the standard tourist trail with little or no hotels to be found. Life in these villages is laid back. Each village has its own parish church and adjacent square where the locals meet up to exchange gossip. 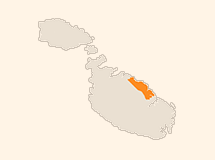 The western coast of Malta is characterised by vertical cliffs alternated by plains. The countryside is lined with rubble walls and prickly pear hedges bordering the terraced fields. The coast offers some fantastic scenery and majestic rock formations, particularly Dingli Cliffs. The area of Dingli cliffs is perfect for hiking and picnicking while the nearby Buskett Gardens are perfect for walks and bird watching. In the very centre of the island one finds Mdina, Malta’s ancient capital. Its streets are charged with history, and the architecture within its walls stunning. Nearby Rabat is just as old with winding narrow streets leading to the village centre. 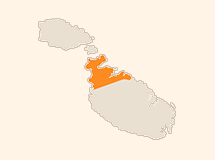 The central area of Malta hosts the upmarket suburban areas of Attard, Balzan and Lija and also neighbouring Naxxar and Mosta. The latter is home to the famous Rotunda, which miraculously escaped destruction during World War II. Valletta and the harbour area is one of the most densely populated areas on the Island and probably the richest in history. Valletta was built by the Order of St John. With its old world splendour and magnificent baroque architecture it is no wonder that Valletta is a Unesco World Heritage Site. The city is the capital and the administrative centre of the Island. In fact in the 17th and 18th centuries the Order of St John built a theatre, a library, a custom house, the Law Courts, a Cathedral, the Grand Master’s Palaces and the Auberges in Valletta. With the growth of the Capital City all the urban areas around the Harbour began to grow rapidly. On the other side of the Grand Harbour, opposite Valletta lie the historical fortified towns of Vittoriosa, Cospicua and Senglea. The Three Cities have a unique charm and character that distinguish them from all other towns in Malta. Older than Valletta, the Three Cities were home to the first knights. One can find elegant buildings, some of which designed to accommodate the leading figures of the Order of St John. Floriana is nestled between the two lines of fortifications of Valletta. The town had features associated with the 18th century urban cities. The entrance was decorated by a triumphal arch - Portes des. The streets were wider and decorated with spacious gardens and monuments, making Floriana an example of the popular French-style baroque cities. 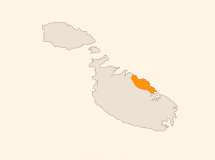 Gozo lies some 20 minutes away by ferry from Malta. Much smaller than its sister Island, Gozo offers a laid back way of life where history and tradition are deeply ingrained in the day-to-day life. All roads in Gozo lead to its capital, Victoria, an ancient city dating back to the times of the Romans which was later fortified by the Knights. Today it combines the bustle of its market and shops and its imposing walls are visible from many of the town’s approaches. Flat-topped hills and intensely cultivated fields characterize the landscape whilst the coast has rugged cliffs, steep valleys and beautiful inlets coupled by baroque churches and old stone farmhouses dotting the countryside. Green hills and fertile valleys separate one village from the other. Wherever one looks the sea is always within sight. In fact, Gozo has an amazing coastline charcterised by unusual rock formations and enriched by tiny creeks and sandy beaches. The gateway to Gozo lies at Mgarr, the island’s main harbour. Approaching Gozo from the sea, one is welcomed by beautiful verdant cliffs. Dining is excellent in Gozo which is hardly surprising on an island where all the produce sold in the markets is grown locally. The Island is well served by restaurants, where the eating is good and varied. Apart from restaurants and cafés offering local dishes as well as continental menus, one can also enjoy themed restaurants, such as Chinese or Indian. Restaurants abound in Rabat, Mgarr and the fishing villages of Marsalforn and Xlendi, as well as in several other places.